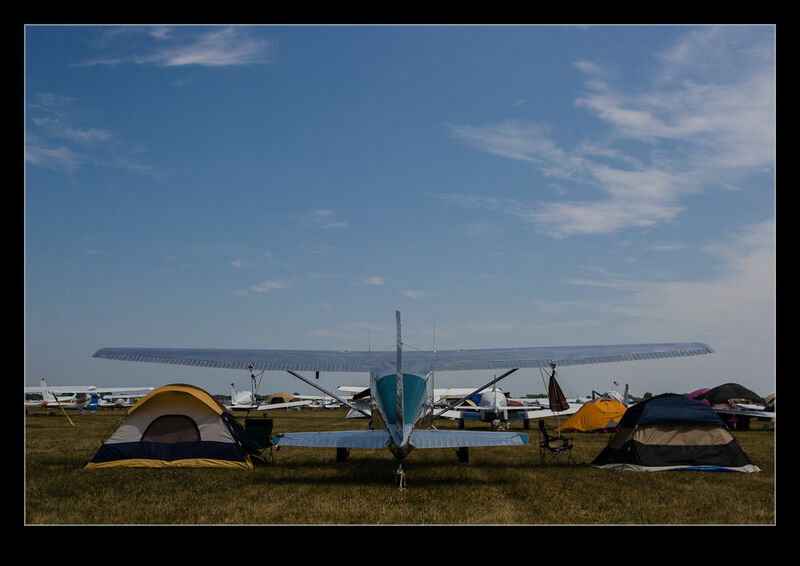 One of the great things about exploring at Oshkosh is seeing how people are staying there. There are plenty of organized camping options for people. However, that is not very unusual. 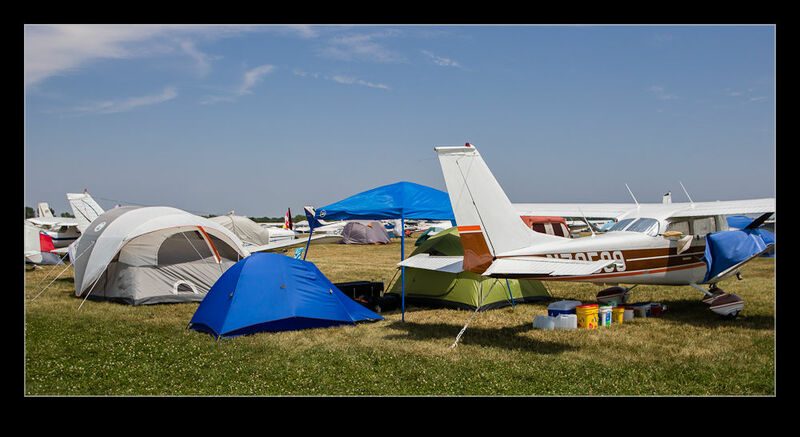 What is interesting and something that is very symbolic of Oshkosh is the camping in the aircraft parking. Many people set up camp right under the wing of their aircraft. As part of the piece, I wanted to make sure that I had covered this aspect to some level. I spent a good bit of time wandering through the parked aircraft. It was fascinating to see just how diverse the approaches taken were. I met one guy who was sitting under the wing of his Cessna 172 with a one man tent pinned to the ground next to him. He symbolized the simplest version of things. Sadly, he didn’t want me to take his picture but it was a great thing to see. At the other end of the scale, some pretty significant camping enclosures had erupted! Large tents, canopies with cooking arrangements, seating for many people plus transportation options to get around the site were also on display. Sometimes these were next to a more substantial aircraft but other times it just looked like friends had brought all they needed between them. 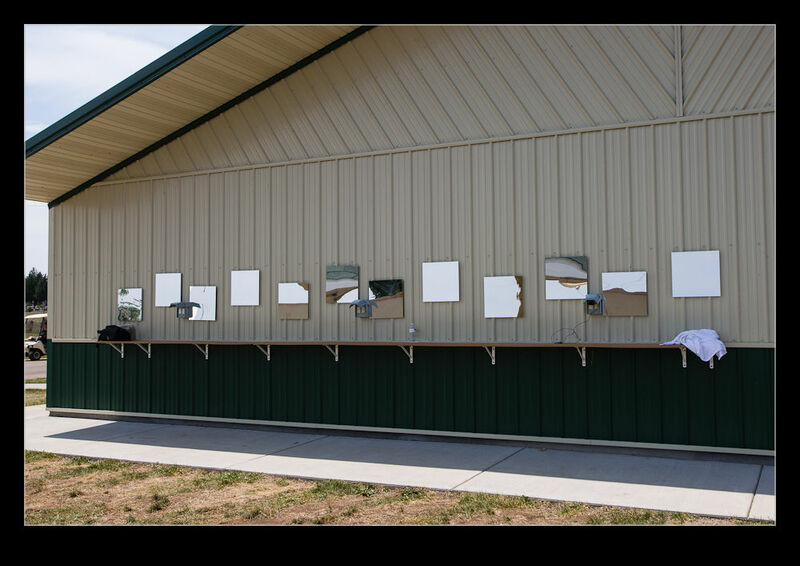 The facilities for people are pretty well developed too. Large shower and toilet blocks are available which seem pretty obvious. I was taken by the charging stations that seemed pretty substantial. Whether you are charging battery packs, phones, laptops or avionics, this seems to be a big deal and I guess this has all evolved over the years as the needs of Oshkosh visitors have grown. Quite something to see in itself. 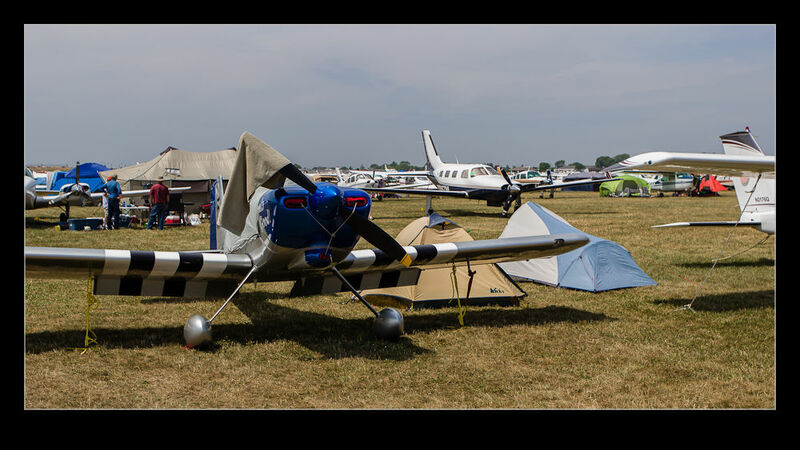 This entry was posted in Air Shows, aircraft, civil, photo, publishing and tagged aircraft, airplane, airventure, EAA, flyin, Oshkosh, Wisconsin. Bookmark the permalink.